It was definitely a hectic and busy Dell EMC World, with a very big crowd. And the Dell EMC Elect were there soaking it up. It started with Episode 36, with Brian Henderson from Dell EMC Mid Range Storage. 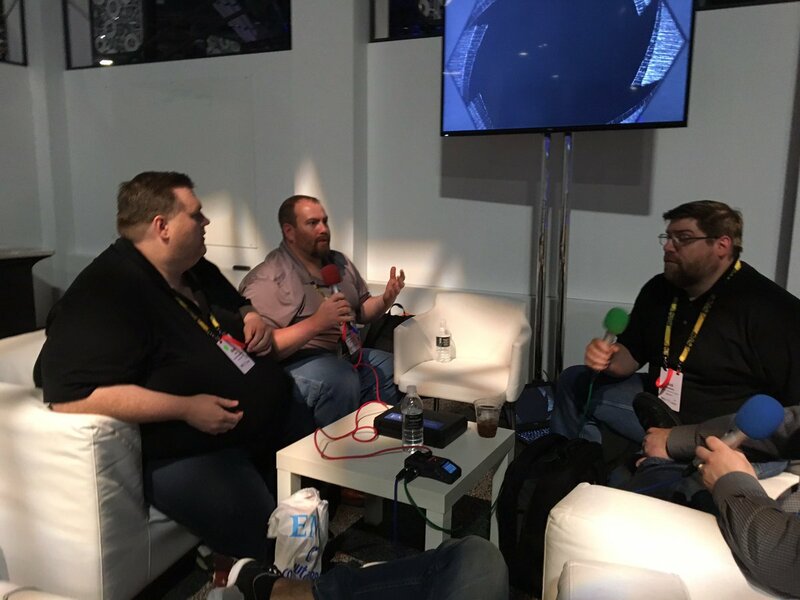 Brian discussed Unity and SC series, formerly Compellent. Unity is about Simplicity and All Flash. All 4 models have been refreshed. More performance, double the memory, 40% more cores and inline compression. He also talks about the new dense rack from Unity, with 500 Terabytes in in a single rack unit. For the SC Series, Dell EMC continues to refresh the platform. The SC 9000 recently got a storage review editors choice award for 2017. SMB Mid space SC 5020 has been hugely upgraded and lowest dollar per gig in the industry. Pretty neat products and loaded for performance. In Episode 37 we sit down with Frank Nicolo and go through the VMAX product announcements. the Big things announced were for VMAX all flash. VMAX has been knocking around for a year and a half. All the IO goes through the cache memory in VMAX which is a nice architectural feature of VMAX. Inline compression has been around for 7 -8 months and its included in VMAx from the get go. you can compress by the storage group, which is nice. And its performance optimised, compressing less active data sets with no performance hit. Dell EMC also announced a storage efficiency guarantee of 4 to 1. The flagship VMAX 950F was announced with new Intel chipsets and more of them than before. Latest flash drive technology is included, and scales 6.7 million iops, and the bandwidth of 150GB per second. Response time is down to 350 micro seconds. Which is very impressive. Its a great a consolidation product that lowers TCO. In Episode 38 we talk about the launch and announcements surrounding Dell EMC Integrated Data Protection Appliance (IDPA). Management, Analytics and Elastic search are wrapped up in this product. IDPA can be deployed in hours and is hands off in function. Backup can be protected with a lower total cost of ownership. IDPA has the broadest application ecosystem, and meets all your data protection needs. It is innovation without compromise and simplifies Data Protection. Customers are excited about Dell EMC leveraging core technologies together and they know it works. Another exciting product launch. In Episode 39 its all about Dell EMC Isolated Recovery and Data Protection and the new announcements for Dell EMC World. There were big announcements around the new Integrated Data Protection offering, reducing deployment times for customers and Cloud Data Protection in the public cloud. People are very worried about Ransom ware and very interested in Isolated recovery as a means of protection. In Episode 40, we sit down with Dell EMC Elect member, Jason Brown who talks ScaleIO and Dell EMC Elect. Software designed storage is a hot topic and a lot of momentum around ScaleIO which is exciting. And Jason addresses the confusion between ScaleIO and VSAN. ScaleIO has a great relationship with Code @DellEMC especially around things like containers. Customers are using ScaleIO for devops and containers as well as being a proven Enterprise product. And one of the cool leveraging of Dell EMC technologies with inline compression in Software defined storage, with the help of 14th Generation of Dell Poweredge servers. ScaleIO.next was pre announced at Dell EMC World and promises to be a phenomenal product in the software defined space. In Episode 41 we sit down in the comfort of the Dell EMC Elect Lounge at Dell EMC World and have a conversation with newly minted Dell EMC Elect member Brian Vienneau (@bvtechie). We get his perspective on the Elect program and some of the announcements and excitement of the Conference on day 3. In Episode 42 We sit down in the Dell EMC Elect lounge with Antonio Cisternino (& Mauricio Davini of the University of Pisa. We discuss their developments with High Performance Computing using Dell EMC and their excitement about the potential of the 14th Generation Dell Poweredge server and the practical benefits in computing it offers. A very interesting conversation. 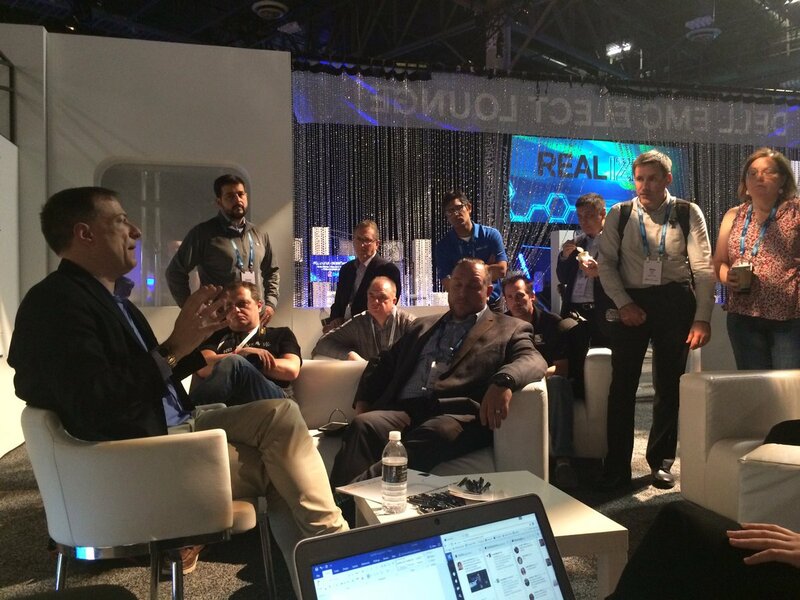 In Episode 43 , Well this is the final wrap up podcast with the Dell EMC Elect, recorded live at Dell EMC World as the event was coming to a close. Some frank discussion from the members about what they liked about the show and what they'd like to see next year. Voices are raised at the end, but you'll understand why when you get there:) Warning, loud noises are included in this podcast. Overall it was a great conference with a big message around consolidating technology and using best of breed.